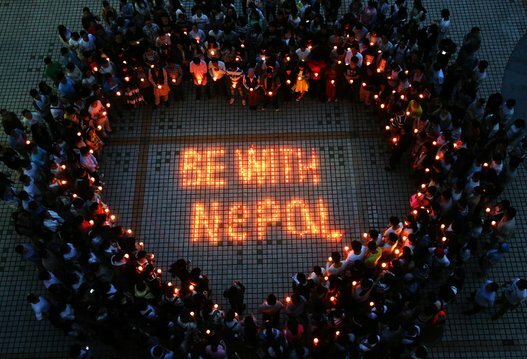 We have all seen images of devastation in Nepal on magazines, TV and social media. More than 4,000 people have been confirmed dead, tens of thousands more have been left homeless. After disasters like this the best thing to do is donating money to the charities that have a strong presence on the ground. Several organizations are accepting donations on Crowdrise, a fundraising website. Charity Navigator, according to pri.org, is one of the top resources for evaluating the works of nonprofits and you can find on its website a list of highly-ranked charities that have mounted relief operations in Nepal. Here you can find a list of nonprofits that will provide relief in Nepal and that have received either a three or four star rating (out of a possible four) from Charity Navigator. Is an emergency response and global health organization which sent an emergency response team from their offices in Mumbai to Nepal and is preparing shipments of medical aids and relief supplies for survivors. The United Nation program dedicated to children in developing countries is now “mobilizing an urgent response to meet the needs of children” affected by the disaster and will deliver water purification tablets, hygiene kits and nutrition supplies. It has set up a Nepal fund to “protect vulnerable children and provide desperately needed relief to families.” Ten percent of the funds collected will go to prepare for the next disaster.